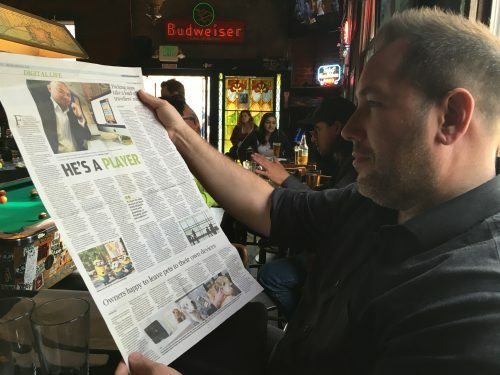 Reading a Chinese newspaper at Tempest Bar during GDC. As you do. Congratulations to Fifth Journey and Eric for the great coverage in today's South China Morning Post following our company announcement. “Many gaming companies want to work in Hollywood, but we understand their stories and characters first and then decide what kind of game to make.” The three Hollywood studios are so keen for Tan to get started that his team has been given permission to look at movies six months ahead of the release and have access to the writers and creators of the movies for as much information as they need to create the games. 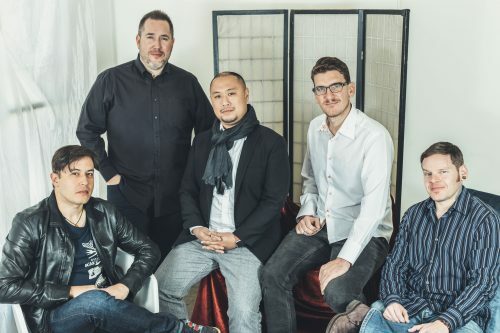 The actual design of the storylines and characters, the game design and the monetisation are done by Fifth Journey’s creative office in San Francisco, led by chief creative officer Craig Derrick, while publishing, sales and marketing, dealing with Asian channels and distribution are done in Hong Kong. Check out the entire article here or by zooming in on the paper I'm reading. 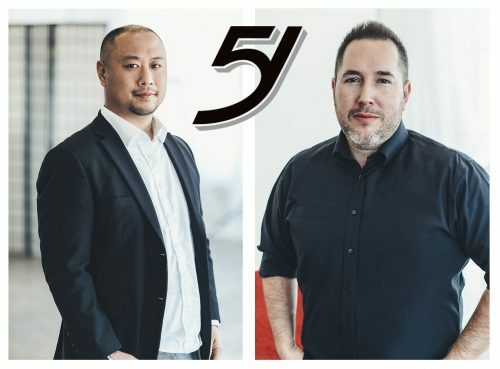 I'm very proud to finally reveal and announce Fifth Journey, the company I've co-founded with my friend and business partner Eric Tan! 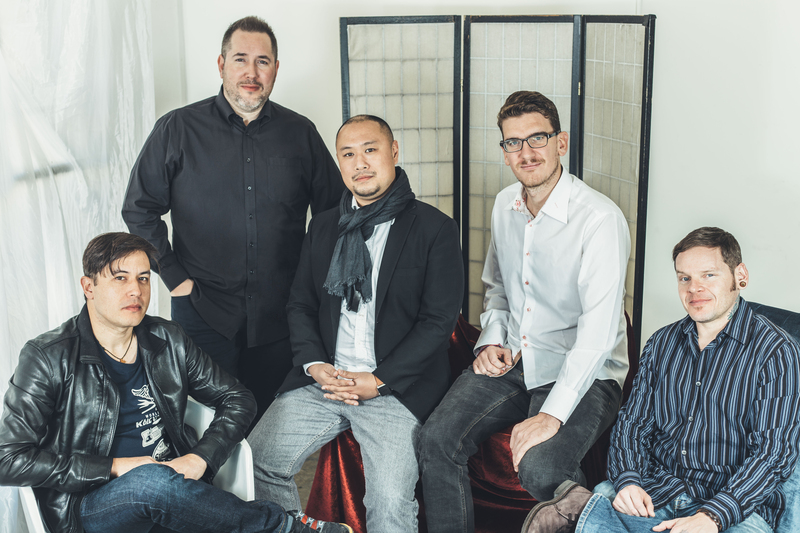 From animated feature debuts to cult classics and blockbusters franchises, Fifth Journey creates fan-first, next-generation mobile entertainment based on film and television content. We’re pioneering mobile entertainment in partnership with Hollywood’s leading studios by advancing the latest technologies, including O2O and virtual reality, providing a platform for mobile streaming, video-on-demand and Hollywood-linked e-commerce while delivering these experiences into the fastest growing markets in the world. 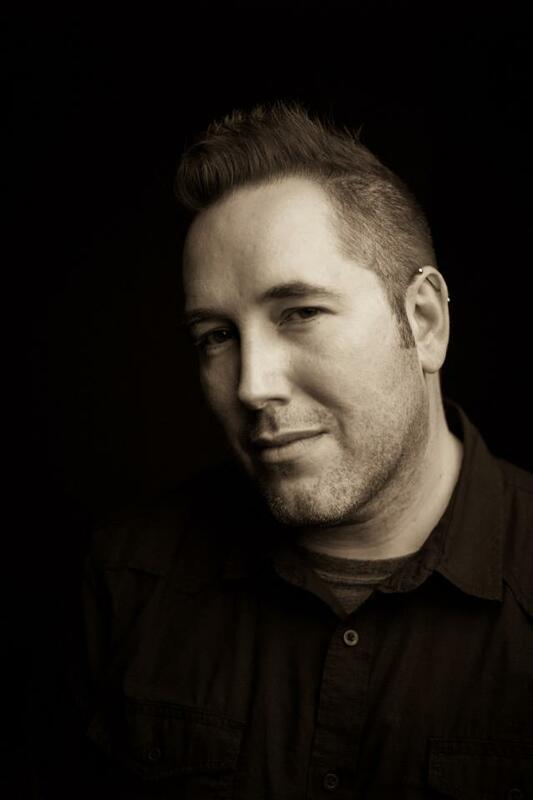 We’re a unique combination of creative and distribution strengths, united by a love of Hollywood and committed to making the most authentic and engaging experiences ever for mobile. A journey of a thousand miles begins with a single step...and this is a big one. I hope you join us on this trip and that we find a way to entertain you through our stories and games. Read the entire VentureBeat interview at the following link: Hollywood backs Fifth Journey to take movie licensed games to China.